Amber Lynn has been throwing parties and DJing for over 10 years. Growing up in Virginia Beach she was one little Riot Grrrl in a land of surf and sun. Her love affair with music started at the age of 15 by attending punk shows and sneaking into the local gay bar for a weekly 80’s Dance Party. She grew up idolizing and finding comfort in listening to new wave bands like The Cure, Siouxsie and the Banshees, and New Order. In 2006 she moved to Philadelphia and quickly became immersed in the diverse music and arts scene that Virginia had been lacking. 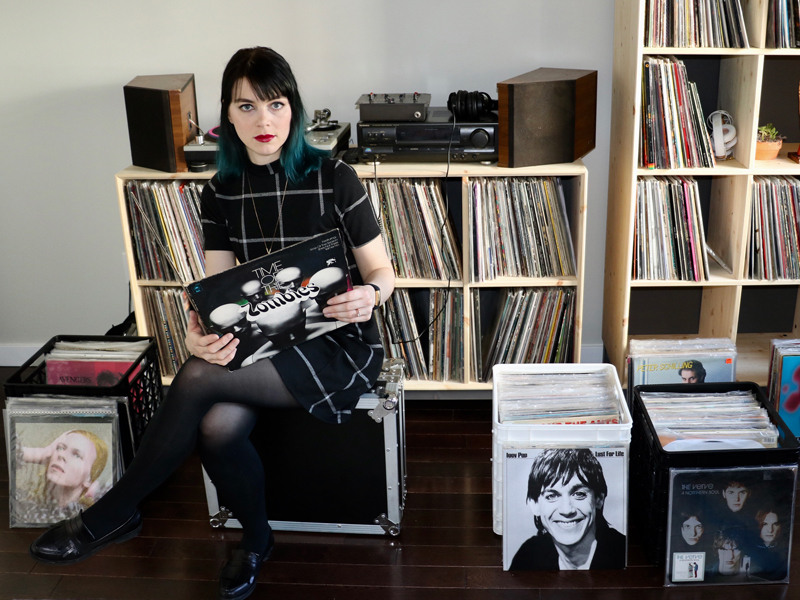 She currently DJ’s a number of successful parties around Philadelphia, including the Dark Wave/80’s night “A Black Celebration”. She truly has an appreciation for all genres of music and is eager to aid in making your special day memorable. AL is a stickler for detail, punctual, and a fun loving lady. Her hobbies include collecting records, working in animal rescue, and yoga. In 2015 Amber Lynn had a small destination wedding in Palm Springs and curated the music for the whole occasion. Her understanding of how important music is for a client on their wedding day is just the beginning. AL finds great pleasure in getting people on the dance floor where they can enjoy themselves and have an epic time! with DJ Amber before deciding?